Quaint, polite Englishman slash documentarian Louis Theroux aims his keen eye and curious mind on the immensely powerful and somewhat frightening Church of Scientology in Louis Theroux: My Scientology Movie (2016, dir. John Dower). 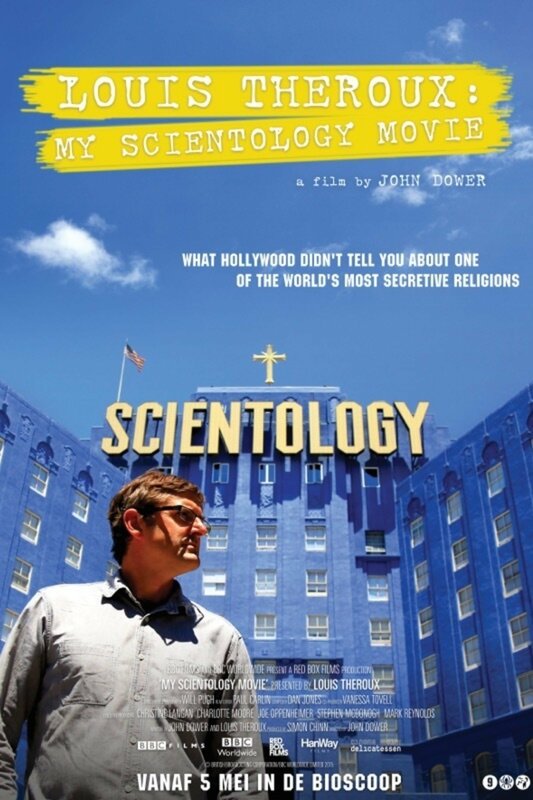 A documentary that takes its time to wonder about what makes Scientology the juggernaut it is, Theroux’s voice leads us viewers down a rabbit hole of cultish behaviour, creepy behavioural exercises, and disturbing reenactments of real life events. After Louis’ request to visit a visit to the Church’s headquarters is rejected, he chooses to explore the religion by connecting with one of its most infamous ex-members, and by staging re-enactments of alleged violent incidences within the Church. But what happens when the Church decides to make its own film on Louis? Poor Louis has to deal with so much crazy stuff when he’s making his features. From confronting scary jail inmates, to being physically threatened by massive racists, to being sickened by paedophiles and beyond, Louis Theroux seems to seek out the craziest parts of life and shine a light on them so that we, in turn, can understand ourselves better as a species. It only seems natural that he would focus on Scientology eventually, and that he might have a fascination with the Church, given its mysteries and controversies. Again, poor Louis, opening up another can of worms. The thing is, the can of worms for this film is really not so big. If you’re looking for a film that blows open the lid of Scientology and spills worms literally everywhere through exposing its gnarled roots and science fiction system of belief, you’re looking for a documentary called Going Clear: Scientology and the Prison of Belief (2015). 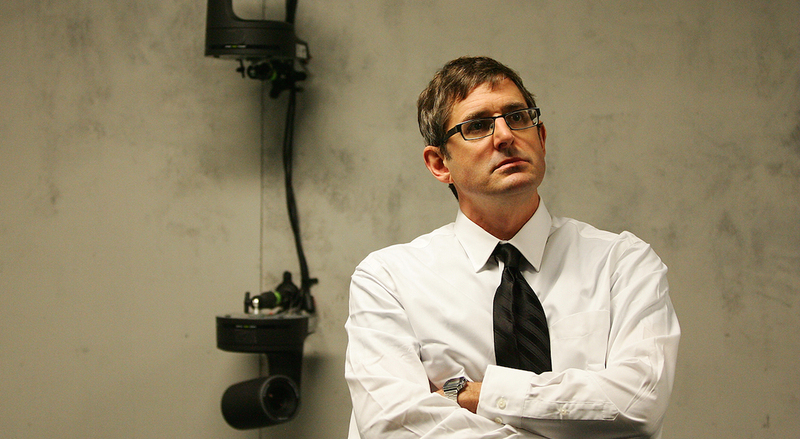 Still, the enjoyment of My Scientology Movie isn’t necessarily in its recounting of history – it’s in the way the premise of the film is explored and communicated, through Louis’ well-meaning lens which seems to be a magnet for trouble. Some moments of My Scientology Movie feel a bit like you’re peeling an onion – some of this film is about filming re-enactments, during which the narrator of the film is being stalked and filmed by the group of people he’s re-enacting. It sounds kind of confusing, but it makes sense in the moment. We see Louis and company cast their re-enactments, and it’s all very meta, in a good way. As a result, the film also feels a little bit like another amazing documentary, The Act of Killing (2012); we’re watching an alleged perpetrator of violent incidences (ex-Scientology member Marty Rathbun) watch these incidences play out in front of his very eyes, in some very tense moments indeed, including when Louis asks him about what happened. These moments are framed by beautiful and focused direction by John Dower. The magic of this documentary only increases when Louis and the production are put under further pressure whilst making the documentary, by real life Scientologist trying to ruin everything. To his credit, Louis rarely loses his cool, which makes for a strangely, quietly thrilling viewing experience. Louis Theroux’s genius lies in his quiet wonderings and saintly tolerance of uncomfortable silences, which evokes deeper reflection in his interviewees’ responses to his wonderings. Likewise, My Scientology Movie is a quirky, fascinating, and extremely watchable examination of a pretty weird (no offense, Scientologists) belief system and organisational structure. The premise of the film is made clear from the get-go, and as aforementioned, if you’re looking for a film that exposes all the nasty bits of Scientology, or if you’re wanting a refresher course on its beliefs and lore, then look elsewhere. But if you’re up for an understated and clever journey of some of the darker moments in tax-evading pseudo-religious cult-like groups of people, then My Scientology Movie might be for you. It’s a bit different when compared to Louis’ other works, but in and of itself, it’s great. Im going to see this tonight along with a Q&A with Louis Theroux. You’re right it does sound a lot like The Act of Killing. 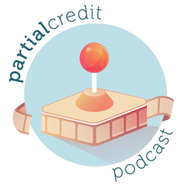 Looking forward to it! That would have been awesome! How did it go? After having seen Gibney’s movie about Scientology I thought this one didn’t go as deep. That one had more interviews with people who worked there and was a lot more shocking. You’re right, this one was a bit surface level and Gibney’s was much more in depth. Gibney’s film will always be my number one recommendation for people who are intrigued/confused by Scientology! Louis’ TV documentaries were on BBC TV ages ago – quality viewing; good to see him back, but never did I envisage him on th big screen – should documentaries be shown on cinema format? Well, how excited r u about this? As always, good to see u again in th blogosphere! I love Louis! His documentaries are always the best, due in part to his own unique character. Also, I’m super excited about Rogue One! Cannot wait – Mads Mikkelsen looks amazing, and the newest trailer was gorgeous. When I’d first heard about this movie I wondered why I would want to see it (after having watched Going Clear: Scientology and the Prison of Belief). But after reading your review, I must say that I’m intrigued. This one is kind of like an additional layer of getting to know Scientology. Gibney’s is a lot more explosive and good for the beginner viewer, but I feel you get to know Scientology a little bit more personally in this one. I really want to see this. I am a big Louis Theroux fan. Louis is the best! Would be interested to read your thoughts if you end up seeing this one. Sounds all right. Will have to give it a go at some point. Would love to read your thoughts on it when you get around to it!